ZHONGSHAN, China, June 1, 2018 /PRNewswire/ — The 22nd China (Guzhen) International Lighting Fair (“GILF” or “Fair”) (Autumn) will be held concurrently with the Guzhen Lighting Manufacturing, Supply & Services Expo 2018 (Guzhen Manufacturing Expo) at Guzhen Convention & Exhibition Center, Zhongshan, China on October 22-26, 2018. 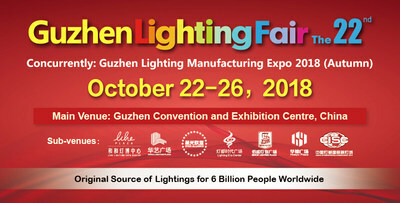 Taking advantage of the accurate positioning of the lighting industry and relying on the industrial advantages of Guzhen, the two fairs cover exhibits with ultra-high cost performance of the whole industry chain, thus building a stable platform for lighting enterprises and a high-end platform for connecting all links related to the lighting industry, and leading the new industry trend. Relying on the original source of lightings and primarily orienting towards international market (plus domestic market), the GILF with ultra-high cost performance will attract buyers at home and aboard, and open a ceremony by building a direct exchange platform for buyers and distributors. 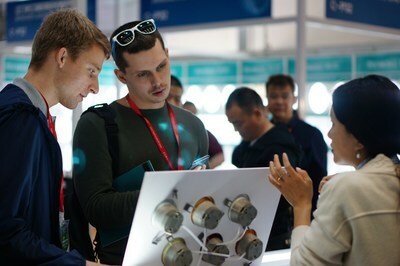 The fair continues to join hands with seven sub-venues, including China Lighting Plaza, Star Alliance Global Brand Lighting Center, Besun Lighting Plaza, Lighting Era Center, Lihe Lighting Expo Center, Huayu Plaza, and China International Streetlight City, to gather nearly 2,000 exhibitors and build up an exhibition area of over 1,500,000 m2 in total. Gathering industry experts to discuss the latest information, the fair will hold Guzhen International Lighting Festival 2018 to show our overseas visitors the charm of lighting. This fair continues to serve the side gate of Hall A as the only main entrance in a north-south direction and connecting Halls A, B, and C together. 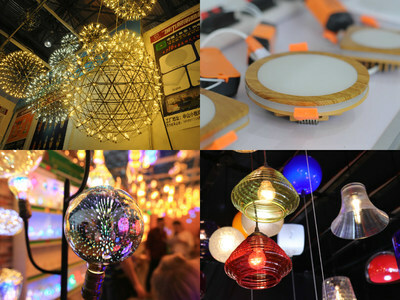 For convenience, the fair sets up specific areas for lighting engineering & lighting design, decorative lighting, household lighting, electrical and electronic products, commercial lighting, outdoor lighting, machinery & equipment, and lighting accessories & components, and business circulation service, covering all links related to the lighting industry and building a diversified platform. Recalling the spring edition which attracted nearly 290,000 visitors from 91 countries and regions, the spring fair created a professional, market-oriented, branded, and internationalized lighting ceremony. The 22nd GILF opens a new era of “Internet +” through the integration with Internet and offline transportation network, fair’s value-added services, E-publication, WeChat Payment, etc., thus providing buyers and exhibitors with integrated services of product promotion, information sharing, and industry exchange. Therefore, visitors can clearly understand the fair, exhibitors, and their products in order to design their own visiting routes and enhance visiting experience. In addition, the preparatory committee has set exhibitors catalogues in the official website and WeChat Official account , so that you can look for required products more conveniently. Now, pre-registeration system has opened, by following the WeChat Official Account “GILF” or visit www.denggle.com to fill in personal information and finish doing pre-registration, visitors can enter the fair through VIP channel with mobile number onsite. Pre-registered visitors can save the onsite registration fee of RMB 100, enjoy VIP services, receive e-mails about the latest information of notes and exhibition time, and enjoy visa, hotel, and EDM customized services, get a guidebook and so on. In addition, visitors who finish doing pre-registration before June 30, 2018 can participate in a lucky draw to win tablet PC, draw-bar box and other rewards home. Five days, two fairs, eight venues, over 2,000 exhibitors, nearly 100 forums altogether attract over a million visitors. All in October, Guzhen lighting fair!